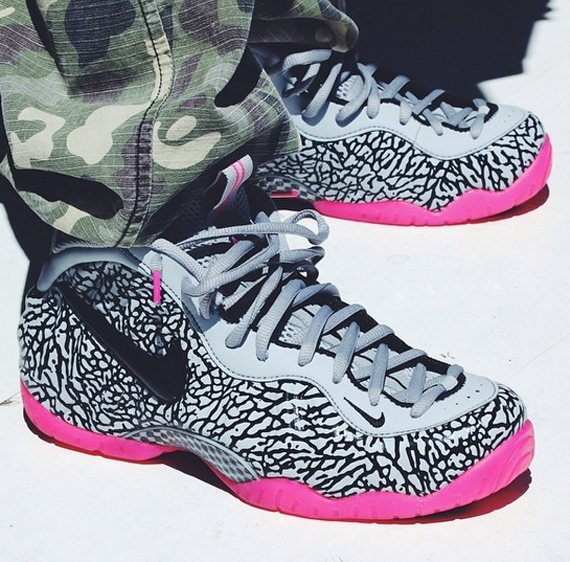 While we are amidst the hype of the Wheat and Black Nubuck Foamposites, let’s not forget the Elephant Print colorway that has been a topic of stirring discussion since the moment we first saw them. These shoes were indeed spotted on-feet at World Basketball Festival in Chicago, and it’s safe to say that the on-feet vantage point has always garnered more positive response. 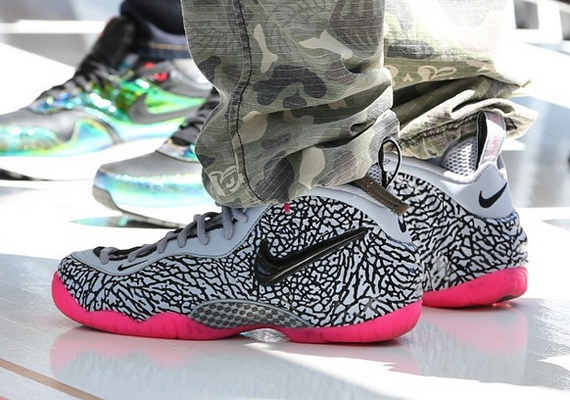 Has your opinion changed upon seeing these on-feet? Get another angle below and let us know what you feel about this latest Foamposite endeavor, and stay tuned to Sneaker News for a firm release date on these Foams.